Background and Objective: Environmental pollution from human activities is a major challenge of civilization today. This study aimed to use Sn doped ZnO nanoaprticles for the purification polluted water from dye and heavy metal. Materials and Methods: The Sn doped ZnO nanoparticles have been synthesized using a simple chemical method and characterized by XRD, SEM and AFM. The degradation efficiency of Sn/ZnO nanoparticles was studied against methyl orange dye along with Cr(VI) by using a UV-vis spectrophotometer (Sl-210 Double Beam UV Visible Spectrophotometer (Elico)). Results: The results demonstrated that the photocatalyst was efficient at 200 mg L1, the maximum amount of degradation (80.2 %) have been observed for MO/Cr(VI) after 2 h. Conclusion: The photocatalytic performance of the Sn/ZnO nanoparticles was stable after the nanoparticles were reused 5 times. The photocatalytic ability of the Sn-doped ZnO film allowed the development of a low cost, high efficiency and environmentally friendly material for water treatment applications using sunlight. Synthetic dye usage has increased in the textile and dyeing industries because of their ease and cost-effectiveness. The environmental problem associated with the use of dyes is their lose during dyeing process since the fixation efficiency ranges from 60-90%1. Effluents discharged from textile and dyeing industries causes serious environmental threats due to its high contamination of color and heavy metals. Many dyes resistant to biodegradation, difficult to be broken down its structure biologically. Methyl orange dye is hard to be degraded, can cause harmful effects on living organisms. If the heavy metals are ingested they can cause serious health disorders2. The Cr(VI) is toxic for humans and is associated with the development of various health disorders3. Therefore, it is necessary to treat heavy metal and dye contaminated effluent prior to its discharge to the environment. Conventional treatment of most organic dyes has significant disadvantages. Adsorption has many advantages over other methods. The adsorbents may be of mineral, organic, zeolites, nanoparticles/nano composites, agricultural wastes, biomass and polymeric materials4,5. Plenty of natural source energy available from the sun light could be used to degrade some organic dyes in the presence of photo catalyst upon solar light irradiation6. So, this study was aimed to synthesize eco-friendly heterogeneous photocatalyst able to decompose dye and adsorb heavy metal from industrial waste water. Therefore, Sn doped ZnO nanoparticles have been synthesized using a simple chemical method and degradation efficiency of Sn/ZnO nanoparticles was studied against methyl orange dye along with Cr(VI). Materials: All chemicals Zn(NO3)2.2H2O, SnCl4.5H2O, methyl orange and solvents were purchased from Merck and were used without further purification. Potassium chromate salt was used to make all chrome standard solutions used in the experiments. A stock solution of 1000 mg L1 was prepared by dissolving the potassium chromate in distilled water. Working standards were then prepared by appropriately diluting the stock solution. Synthesis of Sn doped ZnO nanoparticles: The Sn doped ZnO nanoparticles have been synthesized using a simple chemical solution method. The stock solutions of starting materials 50 mM Zn(NO3)2.2H2O, 50 mM SnCl4.5H2O and 100 mM NaOH were prepared using deionized water as solvent for each sample. The solution of NaOH was dropped into the solution of Zn(NO3)2.2H2O under continuous magnetic stirring till the formation of white precipitates of Zn(OH)2. The precipitates were filtered off and washed with distilled water. The precipitates of Zn(OH)2 were first dried in air at room temperature and then calcined at 250°C for 24 h to attain fine crystalline ZnO nanoparticles. For the preparation of Sn doped ZnO, 50 mM SnCl4.5H2O was added to 5 g of calcined ZnO nanoparticles. The sample was agitated and heated at 110°C for 30 min. The powder was cooled to room temperature, calcined at 300°C for 2 h and then grounded. Total preparation time of solid product was 25 h. The product obtained was labeled as Sn-doped zinc oxide (Sn-ZnO). X-ray diffraction (XRD) patterns: The X-ray diffraction (XRD) patterns of ZnO-Sn nanoparticles were carried out by a X-ray diffractometer (PANalytical PW 340/60 Xpert PRO) which was operated with Cu Kα (λ = 1.5406 A0) radiation. 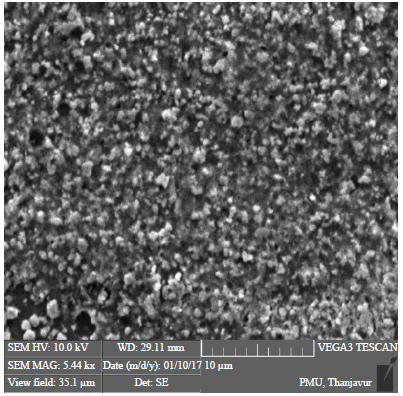 The synthesized products were characterized using a VEGA3 TESCAN (Czech Republic) scanning electron microscope (SEM) and AFM images were obtained using atomic force microscope (Veeco-di CPII). where, A0 is absorbance of dye at initial stage, At is absorbance of dye at time "t". where, C0 and Ce are the initial and final concentrations of Cr(VI) metal ion in the solution phase. Effect of Sn/ZnO load on the degradation of MO/Cr(VI) mixture: The effect of amount of photocatalyst on the rate of simultaneous photocatalytic degradation of MO and Cr(VI) was observed by taking different amounts of Sn-ZnO (100-300 mg L1) keeping other factors constant. Effect of initial concentration of methyl orange and chromium (VI): The effects of MO and Cr(VI) concentrations on the rate of their photocatalytic degradation were observed at different concentrations (10-50 mg L1) of MO and Cr(VI). Effect of pH of the solution: The effect of pH on the rate of photocatalytic degradation of MO/Cr(VI) mixture was investigated in the pH range of 2-12. The pH was maintained each time by using 1 M HCl or 1 M NaOH and measured using a pH meter. Recycling/reuse of the Sn-ZnO photocatalyst: The recycling and reuse of the photocatalyst for the degradation of MO/Cr(VI) mixture was also tested. For each experiment, the 200 mg L1 of Sn-ZnO photocatalyst was added into the MO/Cr(VI) solution with an initial concentration of 10 mg L1 MO and 20 mg L1 Cr(VI) in 1:1 ratio, pH maintained at 4. The degradation efficiency was calculated after contact time of 120 min. The experiment was carried out five times with the same, reused Sn-ZnO photocatalyst. Characterization of Sn-ZnO nanoparticles: From the XRD pattern in Fig. 1, it is obvious that the sample has typical wurtzite crystal structures with two characteristic peaks. The strong peaks located at 34.04 and 36.63° corresponding to the miller index of (002) and (101) phases of ZnO. No peaks related with Sn were detected, demonstrating that the Sn atoms were completely dissolved in the ZnO lattice. The microstructure and morphology of nanoparticles were analyzed using SEM. Figure 2 shows the micrographs of the samples of Sn/ZnO nanoparticles. The Sn/ZnO nanoparticles are heterogeneous in nature. Anisotropic growth of crystal results from the driving force of the dopant on ZnO lattice, hence, Sn-doped ZnO nanostructures have a granular shape as shown in Fig. 27. Atomic force microscopy: AFM images have been used to estimate the grain size of the samples. Figure 3a and b shows both 2D and 3D images obtained using an AFM (Atomic Force Microscope) for Sn doped ZnO nanoparticles. The sampling areas used were [5×5 μm]. Micrographs reveal that films are closely packed and granular in nature; signature of agglomeration of grains is almost absent. Uniform brightness contrast exhibits absence of impurities or clusters8,9. The measured roughness parameter was 3.45 nm. Effect of Sn/ZnO load on the degradation of MO/Cr(VI) mixture: It is necessary to find out the optimum loading of photocatalyst for efficient removal of dye10. Hence, a series of experiments were carried out to find the optimum amount of the photocatalyst Sn/ZnO by varying its amount from 100-300 mg L1. The percent degradation of dye versus time of degradation by varying the photocatalyst weight is recorded is given in Fig. 4. To achieve highest photocatalytic reaction rate, the optimum amount of the photocatalyst was found to be 200 mg L1. The observed dependence of reaction rate on the amount of photocatalyst can be explained in terms of the availability of active sites at the adsorbent surface and the level of light penetration in the reaction medium11. Upon increasing the amount of photocatalyst up to 200 mg L1 percent degradation increases due to the increase in the adsorbent total surface area and thus, the number of active sites, available for the photocatalytic reaction. However, excess photocatalyst, above this optimal load, would induce more aggregation (particle-particle interactions) of photocatalyst making a significant fraction of the catalyst inaccessible either to the adsorbing dye or to the radiation12. The degradation efficiency decreases after achieving an optimum value of photocatalyst load. Therefore, 200 mg L1 of the photocatalyst was selected as the optimal amount of photocatalyst for the subsequent experiments. Effect of initial concentration of methyl orange and chromium (VI): The comparative study of % degradation of MO dye , Cr(VI) and MO/Cr(VI) mixture in solutions with the concentration of 200 mg L1 for the Sn-ZnO nanoparticles under sunlight shown in Fig. 5. The result shows that 25.1, 44.4 and 80.2% degradation have been observed for MO, Cr(VI) and MO/Cr(VI) at 2 h, respectively using initial concentrations of MO 10 mg L1, Cr(VI) 20 mg L1 and MO/Cr(VI) in 1:1 ratio of MO and Cr(VI). From the figure the % degradation of MO/Cr(VI) mixture are higher than that of the MO and Cr(VI) individually13. This may be because in the metal ion-organic compound system, organics receives holes from the valance band directly or indirectly and get oxidized. The enhancement in the rate and extent of MO degradation confirmed that Cr(VI) is an efficient scavenger of photogenerated electrons. Similarly, the presence of MO significantly promoted the reduction rate of Cr(VI) because of the promoter effect by photocatalytic degradation of the dye as shown in Fig. 5. Effect of pH: The effect of pH on MO/Cr(VI) removal efficiency by Sn/ZnO nanoparticles was determined at pH 2, 4, 6, 8, 10 and 12. For each experiment, the 200 mg L1 of adsorbent was added into the MO/Cr(VI) solution with an initial concentration of 10 mg L1 MO and 20 mg L1 Cr(VI) in 1:1 ratio. The degradation efficiency was calculated after contact time of 120 min. The results were presented in Fig. 6, from the results, the optimum pH for removal efficiency of Sn/ZnO was observed as 4. High removal of Cr(VI) at low pH is probably due to reduction of hexavalent chromium to trivalent chromium ions, which is easier in removal14. The favorable of low pH can be attributed to the neutralization of negative charges on the surface of the adsorption by excess hydrogen ions, thereby facilitating the diffusion of hydrogen chromate ions (HCrO4)‾ and their subsequent adsorption. By increasing pH (HCrO4)‾ species shifts to forms (CrO4)‾ and (Cr2O7)‾. The decrease in adsorption of Cr(VI) by increasing pH is due to completion between the anions (CrO4)‾ and OH‾ 15,16. Figure 7 shows the results obtained regarding the recycling and reuse of the photocatalyst for photocatalytic degradation of MO/Cr(VI) mixture. The experiment was carried out under the following conditions; for each experiment, the 200 mg L1 of adsorbent was added into the MO/Cr(VI) solution with an initial concentration of 10 mg L1 MO and 20 mg L1 Cr(VI) in 1:1 ratio. The degradation efficiency was calculated after contact time of 120 min. The results show that the photocatalytic activity remained nearly unchanged after five uses, which indicates that the photocatalyst is stable in the photocatalytic oxidation of MO/Cr(VI) mixture. This results also agreement with previous reports17. Therefore, this photocatalyst can be separated and recycled while maintaining its stability, making it a promising material for environmental remediation. In this study, the Sn doped ZnO nanopowders were successfully synthesized via chemical method and calcined at 300°C. Photocatalytic performances of Sn/ZnO nanoparticles were evaluated using MO, Cr(VI) and MO/Cr(VI) solutions as the indicator under the natural sunlight. The results demonstrated that the photocatalyst was very efficient, 80.2% degradation have been observed for MO/Cr(VI) after 2 h. This study provided a simple yet efficient way to synthesize Sn/ZnO based photocatalysts in large scale. Also, the "superlong" nature of Sn-doped ZnO nanoparticles suggests that the photocatalysts are recyclable. In wastewater systems containing heavy metals with other organic pollutants, the most promising methods to treat such complex systems are the photocatalytic ones which consume cheap photons from the sun light. These photo catalysts serve as electron relays, from the organic substrates to metal ions. Hence, this study would help the researcher in determining mechanism of ZnO nanoparticle as they induce both degradation of organic pollutants and metal ions. Authors sincerely thank Periyar TBI, Periyar Maniammai University, Thanjavur for SEM and AFM analysis. Amini, M. and M. Ashrafi, 2016. Photocatalytic degradation of some organic dyes under solar light irradiation using TiO2 and ZnO nanoparticles. Nanochem. Res., 1: 79-86. Babel, S. and T.A. Kurniawan, 2004. Cr(VI) removal from synthetic wastewater using coconut shell charcoal and commercial activated carbon modified with oxidizing agents and/or chitosan. Chemosphere, 54: 951-967. Baeissa, E.S., 2016. Photocatalytic degradation of methylene blue dye under visible light irradiation using In/ZnO nanocomposite. Front Nanosci. Nanotechnol., 2: 1-5. Binupriya, A.R., M. Sathishkumar, D. Kavitha, K. Swaminathan, S.E. Yun and S.P. Mun, 2007. Experimental and isothermal studies on sorption of Congo red by modified mycelial biomass of wood-rotting fungus. Clean: Soil Air Water, 35: 143-150. El-Kassas, H.Y. and L.A. Mohamed, 2014. Bioremediation of the textile waste effluent by Chlorella vulgaris. Egypt. J. Aquat. Res., 40: 301-308. Er, A.O., A.H. Farha, C. Gumus, E. Guneri and Y. Ufuktepe, 2011. Morphology of zinc oxide thin films deposited by spray pyrolysis. 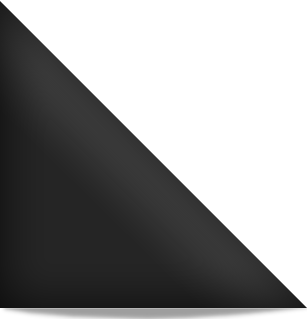 Optoelectron. Adv. Mater.-Rapid Commun., 5: 1286-1291. Foo, K.Y. and B.H. Hameed, 2010. Insights into the modeling of adsorption isotherm systems. Chem. Eng. J., 156: 2-10. Gil, A. and S. Korili, 2000. Structural heterogeneity of microporous materials from nitrogen adsorption at 77 K. Bol. Soc. Espanola Ceram. Vidrio, 39: 535-539. Goncalves, M.S.T., A.M.F. Oliveira-Campos, E.M.M.S. Pinto, P.M.S. Plasencia and M.J.R.P. Queiroz, 1999. Photochemical treatment of solutions of azo dyes containing TiO2. Chemosphere, 39: 781-786. Javid, M.A., M. Rafi, I. Ali, F. Hussain, M. Imran and A. Nasir, 2016. Synthesis and study of structural properties of Sn doped ZnO nanoparticles. Mater. Sci.-Poland, 34: 741-746. Kurniawan, T.A., G.Y. Chan, W.H. Lo and S. Babel, 2006. Comparisons of low-cost adsorbents for treating wastewaters laden with heavy metals. Sci. Total Environ., 366: 409-426. Priya, S.S. and K.V. Radha, 2009. Batch adsorption studies of chromium(III) onto commercial grade granular activated carbon: Equilibrium and kinetic studies. Int. J. Eng. Dev. Res., 2: 125-129. Sakthivel, S., B. Neppolian, M.V. Shankar, B. Arabindoo, M. Palanichamy and V. Murugesan, 2003. Solar photocatalytic degradation of azo dye: Comparison of photocatalytic efficiency of ZnO and TiO2. Solar Energy Mater. Solar Cells, 77: 65-82. Schrank, S.G., H.J. Jose and R.F.P.M. Moreira, 2002. Simultaneous photocatalytic Cr(VI) reduction and dye oxidation in a TiO2 slurry reactor. J. Photochem. Photobiol. A: Chem., 147: 71-76. Smirnov, M., C. Baban and G.I. Rusu, 2010. Structural and optical characteristics of spin-coated ZnO thin films. Applied Surf. Sci., 256: 2405-2408. Wong, C.C. and W. Chu, 2003. The direct photolysis and photocatalytic degradation of alachlor at different TiO2 and UV sources. Chemosphere, 50: 981-987.